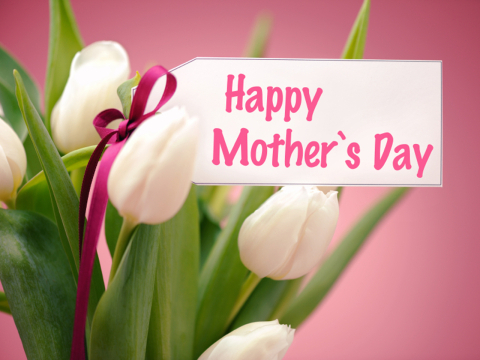 Treat the wonderful Mum in your life to a meal at the George and Dragon. It’s one of the best ways of showing your appreciation! Freshly prepared served with a warm bread roll and butter. A smooth chicken liver pâté, served with warm toast and a spiced red onion chutney. A homemade skewer of chicken, chorizo, red onion and mixed bell peppers served on a bed of pea shoots and a homemade peri-peri mayonnaise. Pan fried button mushrooms button mushrooms finished with white wine, garlic and cream served on rustic toasted bloomer bread. North Atlantic prawns in a classic Marie rose sauce on a bed of shredded lettuce leaves. Served with buttered brown bread. Traditional roast beef, served with a homemade Yorkshire pudding, roasted potatoes, crushed new potatoes, seasonal vegetables and a rich stockpot gravy. Traditional roast pork, served with a sage and onion stuffing, roasted potatoes, crushed new potatoes, seasonal vegetables and a rich stockpot gravy. Traditional roast turkey served with cranberry and orange stuffing pig in blanket, roasted potatoes, crushed new potatoes, seasonal vegetables and a rich golden gravy. 8oz sirloin steak, char grilled and served with crushed new potatoes, roasted potatoes, seasonal vegetables and a peppercorn sauce. Homemade mild and fruity curry served with white rice, naan bread, a poppadum and mango chutney. Lightly grilled fillet of salmon served on a bed of crushed new potatoes with seasonal vegetables and a lemon and dill cream sauce. A classic sticky toffee pudding served warm with butterscotch sauce and Cheshire Farm vanilla-pod ice cream. Layers of blended berries, natural yoghurt and Swiss roll topped with Chantilly cream. Served with Chantilly cream and fresh berries. Meringue roulade filled with fresh cream and a handmade strawberry filling. Served with Chantilly cream and fresh berries. Homemade rice pudding served piping hot with a raspberry compote. Add an extra shot or espresso to any of the drinks below for 30p. Vanilla, hazelnut, caramel, cinnamon or gingerbread.